The Harker School will host the first Green Teen Summit, a student-organized conference for Bay Area high school students interested in environmental activism, on Sat., April 14, from 10 a.m. to 3 p.m. The half-day conference, held at the upper school campus, will feature inspirational speakers and a wealth of resources to help young people get involved with environmental efforts at school and abroad. 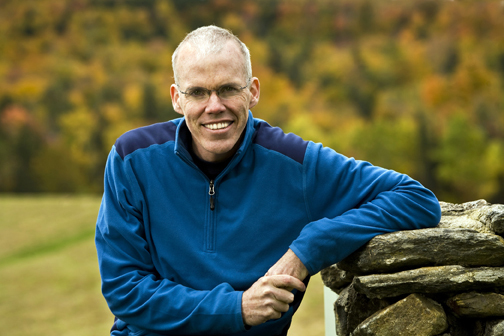 Bill McKibben, founder of 350.org, will be one of two keynote speakers at the event. Called “the planet’s best green journalist” by Time magazine and “probably the country’s most important environmentalist” by the Boston Globe, McKibben has authored a dozen books on environmental issues, and started 350.org as a grassroots initiative to end the climate crisis. Since 2009, 350.org has organized 15,000 rallies in 189 countries. The conference’s second keynote speaker, Ethan Burke, is co-founder and director of operations for BioTour, a nonprofit organization that travels across the country via school buses modified to run on vegetable oil and solar energy. BioTour has crisscrossed the nation for two-and-a-half years, giving presentations on the environment at more than 150 universities, high schools and other venues. In addition to the speakers, the Green Teen Summit will offer training and resources provided by the Alliance for Climate Education, which organizes high school assemblies on climate-related issues. Students will also be able to enjoy lunch with green business leaders and attend workshops. The Green Teen Summit was organized by Harker students Daniela Lapidous and Shreya Indukuri, both grade 12, who received a grant in 2009 to improve Harker’s energy efficiency. They used the grant money to place insulating film on upper school classroom windows and start an organic garden. Later, they were instrumental in getting smart meters installed at the lower and upper school campuses to monitor and reduce energy usage. The students have received extensive press coverage for their efforts, and appeared at the Clinton Global Initiative last year as part of a keynote panel. This event is open to all high school students and campus green club advisors. A continental breakfast and vegetarian lunch is included in the ticket price. Tickets are $10 for students and $15 for adults (plus a nominal ticketing fee) and can be purchased at the Green Teen Summit’s Eventbrite page.